French media reacted with great anger to the retweet as it turns out to be … fake news. The news picked up by the conservative commentator and retweeted by the US President never took place in Paris. And it got worse when US President Trump retweeted those statements to his 55 million followers. French politicians were eager to point out that France is not ruled by the socialist party as Macron ran on a centrist platform (which would be denominated as Liberal in the US) and that the ‘we want Trump’ video was actually filmed in London. It was the French press agency AFP that first started checking the information to which Mr Kirk pointed. The video placed on 2 December on Twitter and shared at least 17,000 times indeed showed people chanting ‘we want Trump’ in European streets. But the video does not appear to be filmed in Paris, but in London, and dates from June. The images, on which a typical London double-decker bus can be seen and in which people with a British accent are calling for Trump, were recorded during a pro-Trump demonstration. Trump furthermore mocked the concessions of President Macron to the 'gilets jaunes,' saying he would suspend the tax increases on fuel. The US President states that this proves he was right to withdraw from the Paris climate agreement. The French government hopes that yesterday’s concessions will be enough to stop the violent protests. 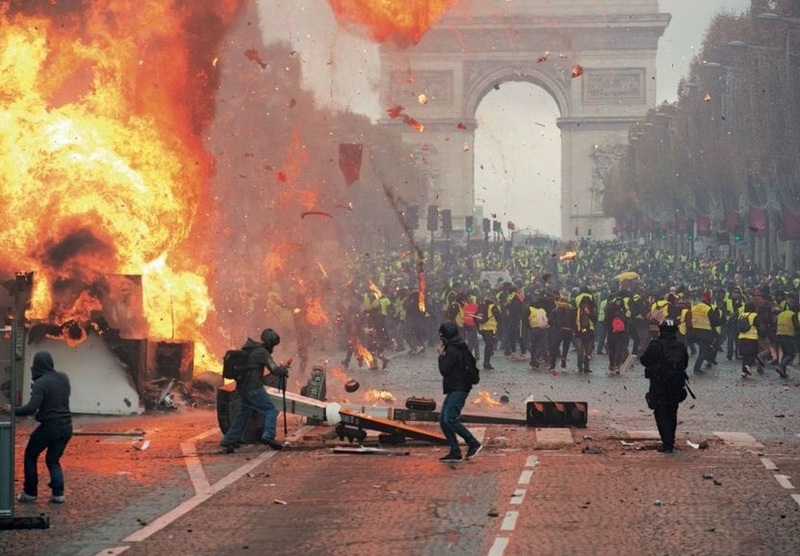 The ‘gilets jaunes’ had earlier called for another Saturday protest in Paris. They not only need to be suspended but vacated from existing. Nullify the opportunity to reinstate them!